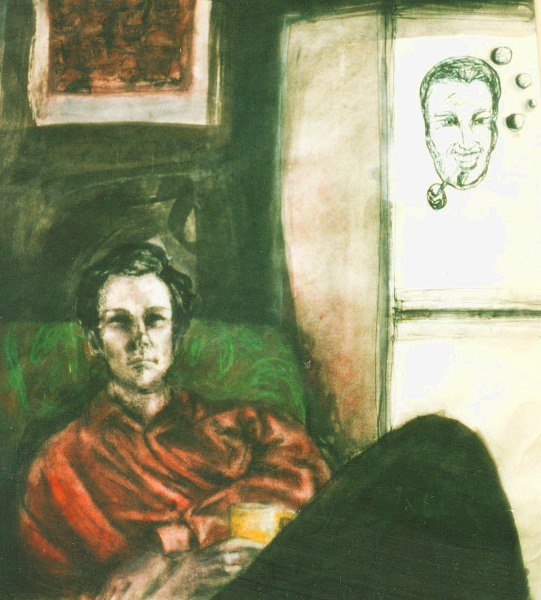 Bob’s On the Fridge Again (Portrait of Duncan), acrylic, charcoal & pen, about 18 x 24″, 1996. A reminiscence of my stay at a punk house during a post-college work exchange in Leeds, England. Groggy Jo. 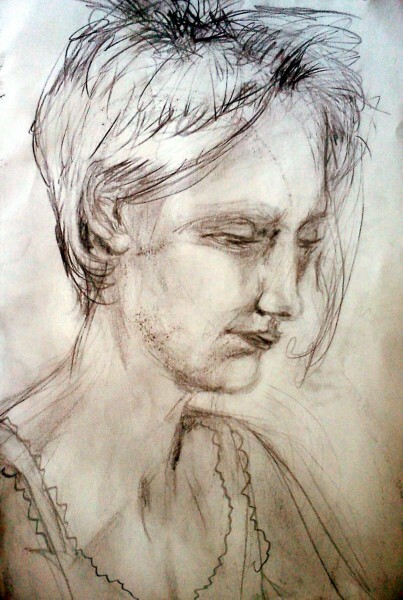 Pencil sketch on paper, 1996. 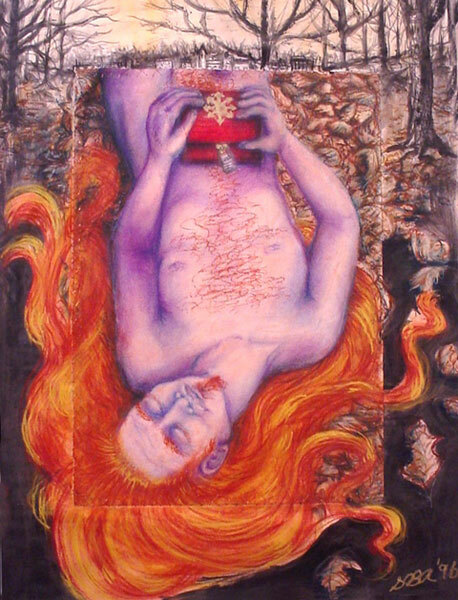 The Treasure Chest of Warne Veeb O’Phagus, acrylic, charcoal, copper wire on paper, 18 x 24″, 1996.